CLASSIC PINK CHAMBRAY SELF TIE BOW TIE. Bow Tie Pink Chambray. Handmade. Adjustable to fit neck sizes 15"-18". 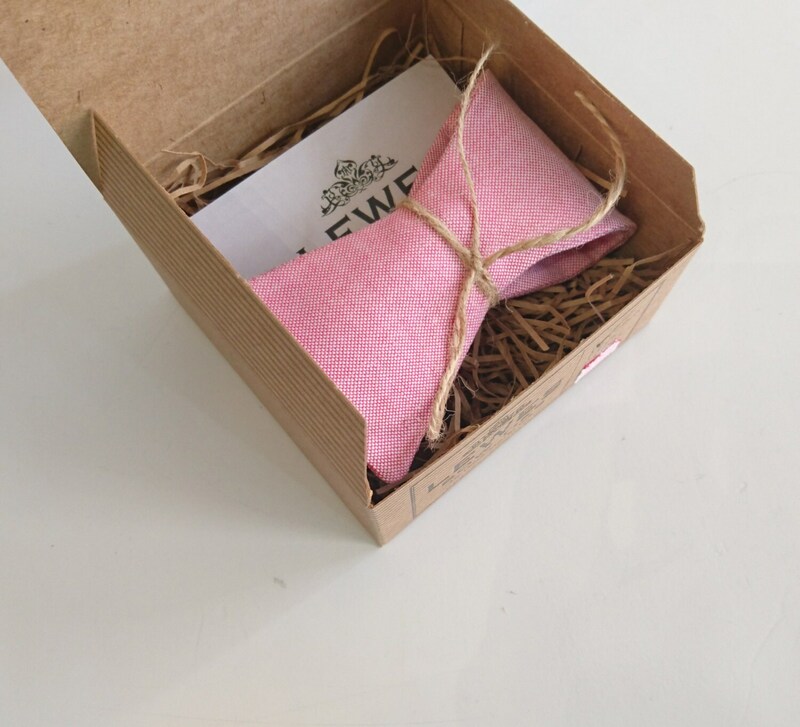 Lewes Bow Ties hand crafted in limited numbers and packaged in a brand box made of recycled paper. Can be made in different sizes, please feel free to ask. Steaming with a hot iron, pressing lightly. 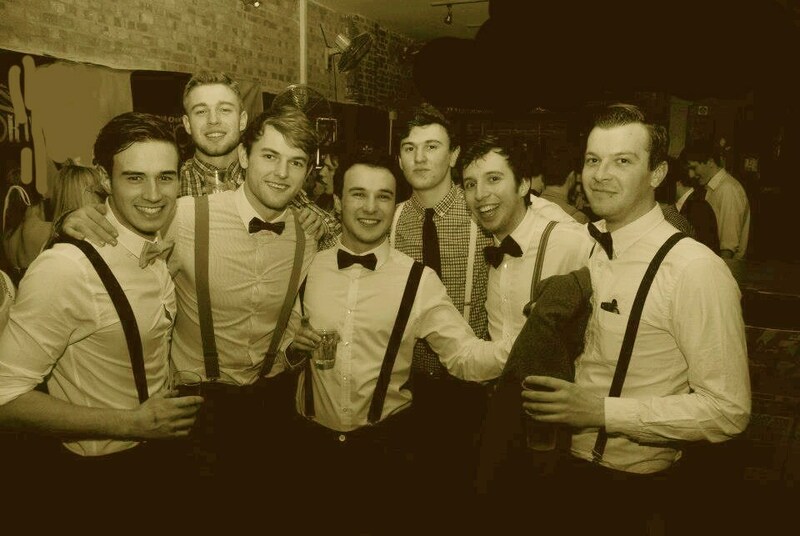 Use a thin cloth between the bow tie and the iron. 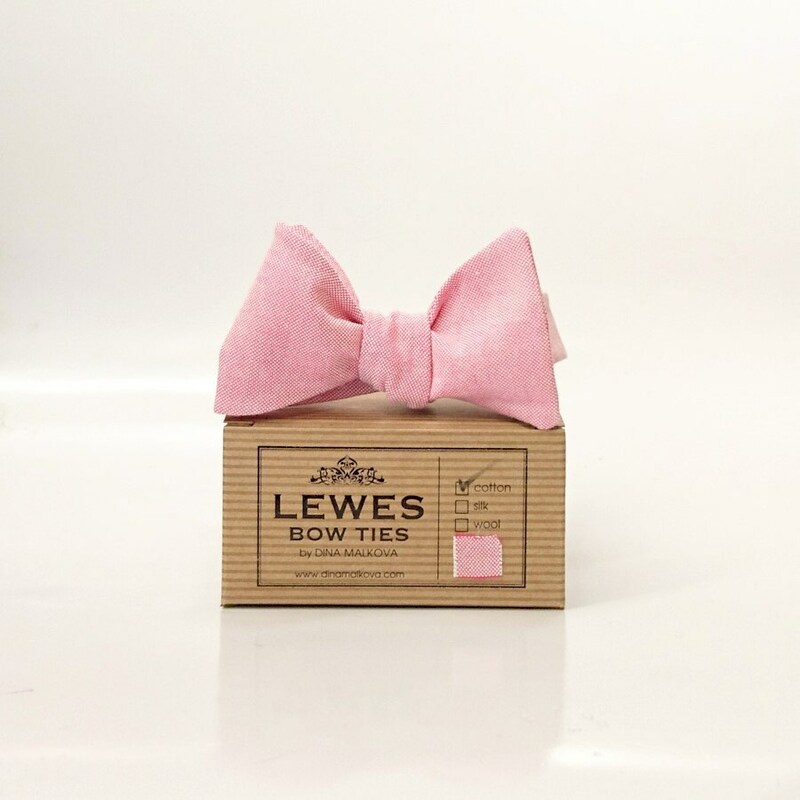 Lewes Bow Ties is the winner of the British Library BL Lab Entrepreneurial Award 2015 and Etsy UK Alice in Wonderland Competition 2015 and Lewes District Creative Industries Award 2017. Payment can be done via paypal or by cards. Orders usually posted within 1-3 business days after the payment is cleared. I will ship all items within 1-3 business days. The orders are shipped to the address of your etsy account, please make sure that the address is correct before buying. If you'd like to use a different shipping address please drop me a note. Normally shipping takes a few days to Europe, 1-2 weeks to USA & Canada, 2-3 weeks to Australia and about 3 weeks everywhere else. I use standard shipping service of Royal Mail with no tracking number. If you'd like the order to be shipped with different service please contact me beforehand. If you want to return the item - you need to contact me within 3 days after you received it. You should send a detailed explanation, why do you want to return it. The return goods must be unused and in its original condition & packaging. I will be happy to refund after I receive the goods but would not refund the shipping costs. Custom made orders (custom sizes, fabrics etc.) are not returnable. I will be happy to consider wholesale or custom made orders. To fulfil your order, you must provide me with certain information (which you authorised Etsy to provide to me), such as your name, email address, postal address, payment information, and the details of the product that you’re ordering. You may also choose to provide me with additional personal information, if you contact me directly. 1) providing and improving my services. b) Service providers. I engage certain trusted third parties to perform functions and provide services to my shop, such as delivery companies. I will share your personal information with these third parties, but only to the extent necessary to perform these services. c) Business transfers. If I sell or merge my business, I may disclose your information as part of that transaction, only to the extent permitted by law. d) Compliance with laws. I may collect, use, retain, and share your information if I have a good faith belief that it is reasonably necessary to: (a) respond to legal process or to government requests; (b) enforce my agreements, terms and policies; (c) prevent, investigate, and address fraud and other illegal activity, security, or technical issues; or (d) protect the rights, property, and safety of my customers, or others.